Dress up your helmet with these awesome Skull & Flames helmet graphics. 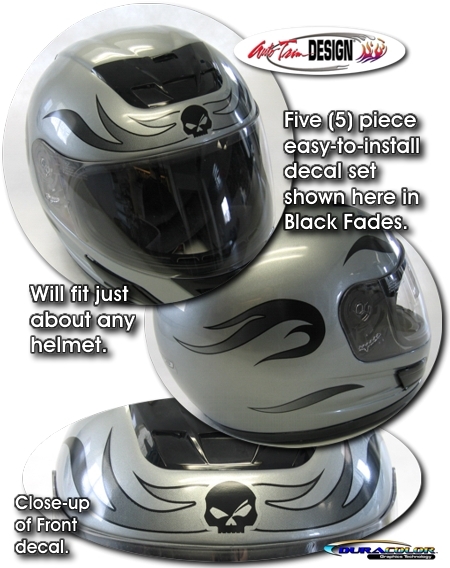 This easy-to-install five (5) piece kit is available in a wide variety of fade colors and will fit just about any size and shape of helmet. Includes general online installation instructions and care guide. Get your kit today!